This apartment is excellent! Well situated in the centre of town and close to main bus stops. The apartment is well appointed with new kitchen and bathroom. Also very quiet. Parking always a bonus in Cham. Everything was fine. WiFi could have been better. Didn't really Like the single beds must have missed that in the property details. Overall very good. 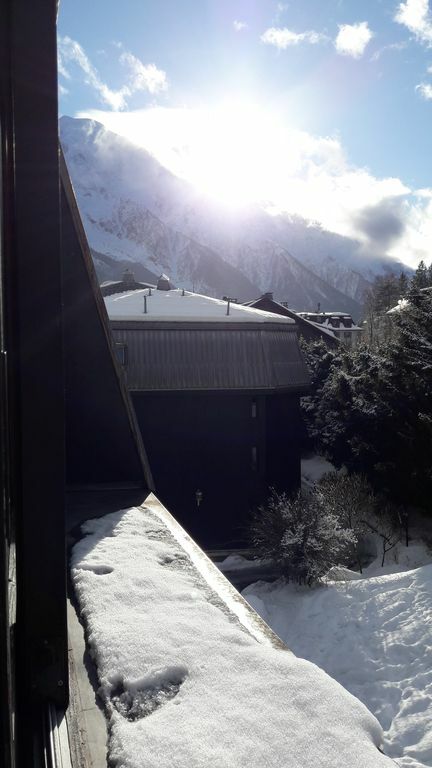 Superb location in Chamonix. Ideal apartment for two people. Difficult to get a better location in Chamonix. Very professional host, superb location, clean and well equipped. Comfortable well located and well equipped home for utmb week. Merci Andris pour votre gentillesse et c'est avec plaisir que je vous ai reçu. Excellent location. Less than a block to the main pedestrian street for shopping and dining. One bus stop just steps away and the bus stop for other route just a couple minutes walk. Very convenient for people without a vehicle. Train station is not too far either. Owner is very helpful with planning activities in the valley. Good price for such a good location.